Contra Corner » Negative Yield Debt Pool Hits $10 Trillion……But Probably Nothin’! Negative Yield Debt Pool Hits $10 Trillion......But Probably Nothin'! 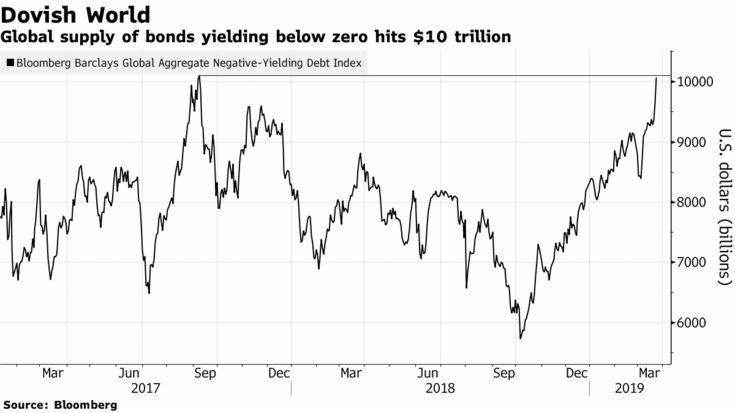 The stockpile of global bonds with below-zero yields just hit $10 trillion -- intensifying the conundrum for investors hungry for returns while fretting the brewing economic slowdown.